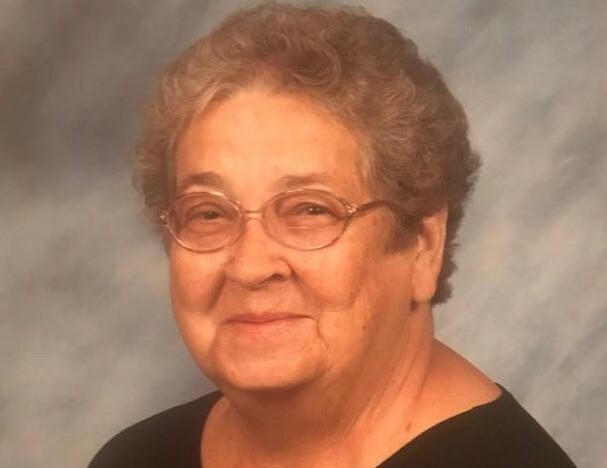 Mrs. Annie Jo Moore, of the Rose Hill community, passed away Sunday, April 7, 2019, at Andalusia Health. She was 83. Funeral services will be held 11:00 A.M. Wednesday, April 10, 2019, at Mount Gilead Baptist Church (29860 Five Points Rd. Dozier, AL. 36028). Brother Jay Driver will officiate. The family will receive friends from 6:00 P.M. to 8:00 P.M. Tuesday, April 9, 2019, at Keahey Funeral Home Chapel in Andalusia. The family will also receive friends one hour prior to service (10:00 A.M.) at the church. Burial will follow in Mount Gilead Baptist Church Cemetery; with Keahey Funeral Home of Andalusia directing. Asked to serve as pallbearers: Ben Moore, Keith Kelley, Dale Anderson, Larry Graham, Joel Moore, and Glen Walters. Mrs. Moore is survived by her children, Shirley (Hayward) Smith, Tom (Hannah) Moore, Gary (Vivian) Moore, and Roger (Kerrie) Moore all of the Rose Hill community; grandchildren, Lori (Keith) Varner, Heather (Greg) Seay, Jeremy (Tina) Moore, Hailey Russell, Sam (Rachael) Moore, Julie Moore, and Ryan Moore; great-grandchildren, Crystien Russell, Greyson Seay, Jonathon Russell, Jayden Seay, Megan Russell, Paul Moore, and Scarlett Moore; and sisters, Cupie (Doug) Eiland, and Joyce (Thurman) Grimes; along with a host of nieces and nephews. She is preceded in death by her husband of 53 years, Thomas Paul Moore; parents, Frank and Myrtice Hammett; and 12 brothers and sisters. Please join us in remembering Mrs. Moore by visiting her memorial page at www.keaheyfuneralhome.com. We invite you to share your memories and words of comfort with her loved ones there.